CERBER road blocker provides high level of security, preventing road vehicle entry into guarded area. CERBER road blocker is designed in line with modern technology and most recent developments in the security industry worldwide. Its powerful hydraulic drive allows non-stop operation. The structure is protected from dirt and is corrosion-proof to operate in maritime climate and harsh weather conditions. This blocker can be integrated into any security system. The blocker design allows blocking roads of any width with the help of closely linked units. The blocker is protected from reverse run-over, which guarantees not only protection from entering vehicles, but also control over vehicles leaving the area. 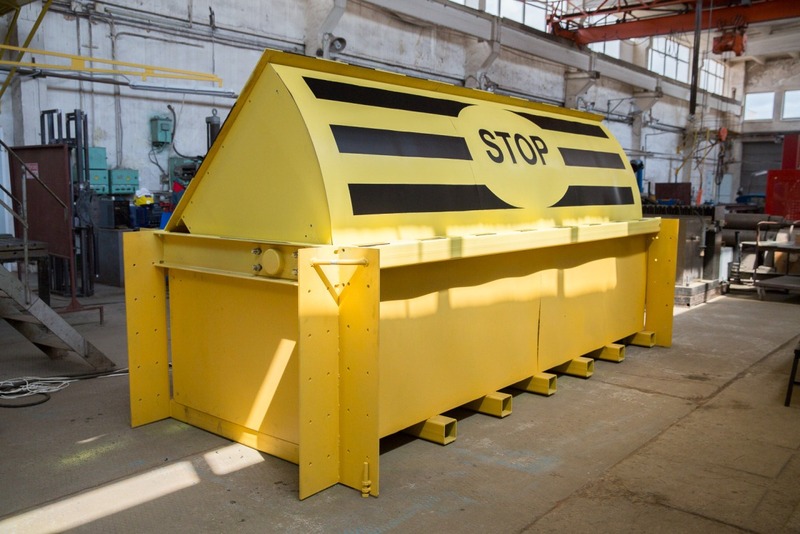 CERBER blocker is intended to stop road vehicles as heavy as 7.5 tons travelling at the speed of 80 km/h. It is primarily designed for oil and gas sector facilities, nuclear and electric power plants, in-house/corporate security, military-guarded areas, communication facilities, strategic sites, etc. To demonstrate the difference between basic models of CERBER и STOPBASE (ПОКАТ, or ‘Road Vehicle Stopping Point’) blockers, the STOPBASE blocker was placed on top of the CERBER blocker. Opening time, rising height and structure ruggedness can be easily gauged by looking at these videos. Anti-ram characteristics are also very different in these blocker models. Rising height of more than 800 mm means that most vehicles will take the impact on the chassis frame or the engine. In this kind of collision the impact power is completely absorbed by the blocker, in contrast to the models with rising height up to 600 mm, which act on the vehicle suspension, destroying it and forcing the vehicle to a halt. Usually, a freight truck, upon high speed collision with a blocker with rising height up to 600 mm, flies over the blocker with suspension completely destroyed, unable to move further, which results in the vehicle stopping some distance away from the blocker. Whilst crashing its frame at high speed into the blocker with rising height above 800 mm, the entire vehicle stays in front of the blocker, except for small debris. The difference sets greater demands to the blocker design as the load taken is dozens of times greater. This distinction defines the level of security in the area close to the blocker. 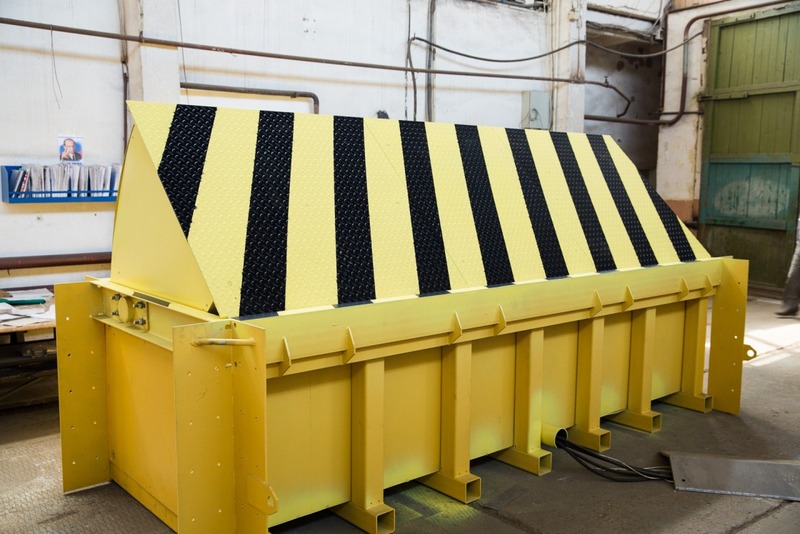 Road blockers with rising height above 800 mm are intended for facilities that require heightened security (nuclear power plants, hazardous industries, military sites, strategic sites and the like), as well as for areas where the site is located in the immediate vicinity of the blocker (tens of meters), where the vehicle frame cannot be allowed to hit the protected site. Examples include guarded administrative buildings, embassies, penitentiaries, research centers dealing with hazardous substances, etc. Given the high demands to blocker resistance, one should take into account the work required to consolidate the foundation and concrete the blocker. CERBER 1.0 H — the blocker that contains a single rising segment and requires earthwork to the depth of about 1.5 meters. On the road plane, however, the blocker requires hardly any more space than its own dimension. CERBER 3.0 LH — the blocker with three expandable segments folding one into another. For this model the earthwork depth can be reduced to 0.6 meters, yet given the same amount of concrete required for strength, the foundation takes more space in the road plane. Both blockers have the same technical characteristics. The blockers are manufactured in length from three to five meters, have hydraulic drive and galvanic cathodic protection. CERBER road blockers come ready for concreting, which facilitates installation significantly.